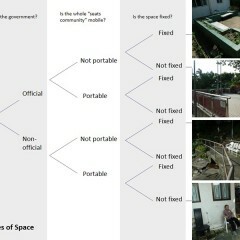 Is the government sitting out area what the villagers need? 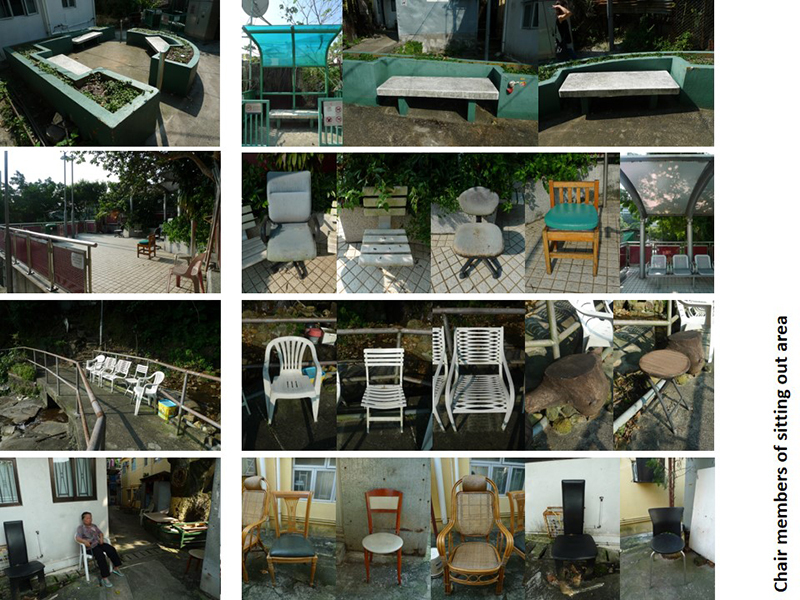 Visiting Pok Fu Lam village, the first things caught people attention maybe the “abandon” chairs scattered all around the village. However, after paying more attention, visitors would realize that the chairs are not discarded but intentionally be put there. 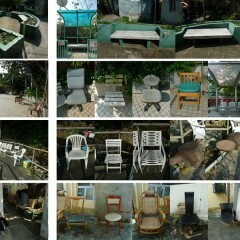 Most of them are components of a sitting out area. 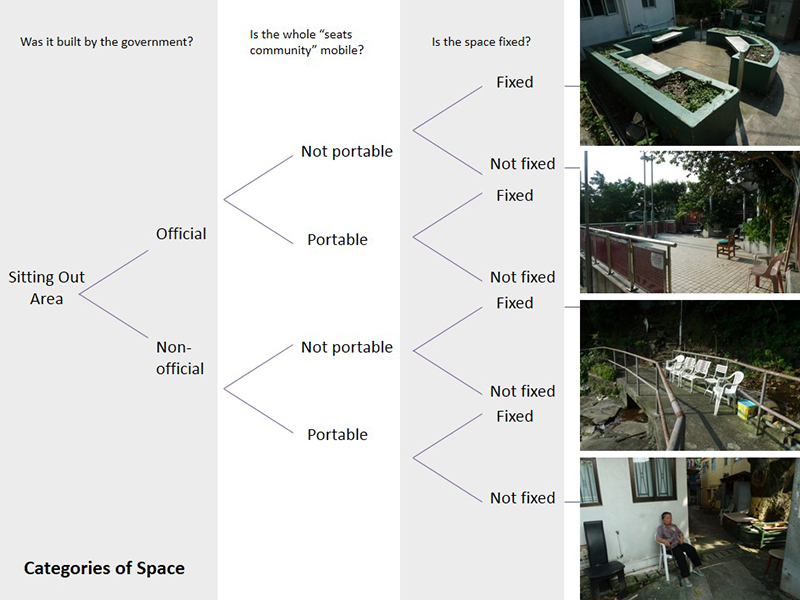 In fact, there are total four major sitting out areas in the village and they can be divided into different categories (see p.1 of this file), including official or not, portable or not and fixed or flexible. The government built two sitting out area, although they can always secure there are seats for resting, villagers seem to have other ideas that are work better for them. Not more than 10 meters from No.1 official sitting out area, there is a space composited different styles of chairs, creating a non-official sitting out area. According to observation, the major reason that villagers created this space instead of using the government space is because they can sit under shadow. In another official sitting out area, No.2 area, the villagers put their chairs there like computer chairs so that a semi-fixed space is created. 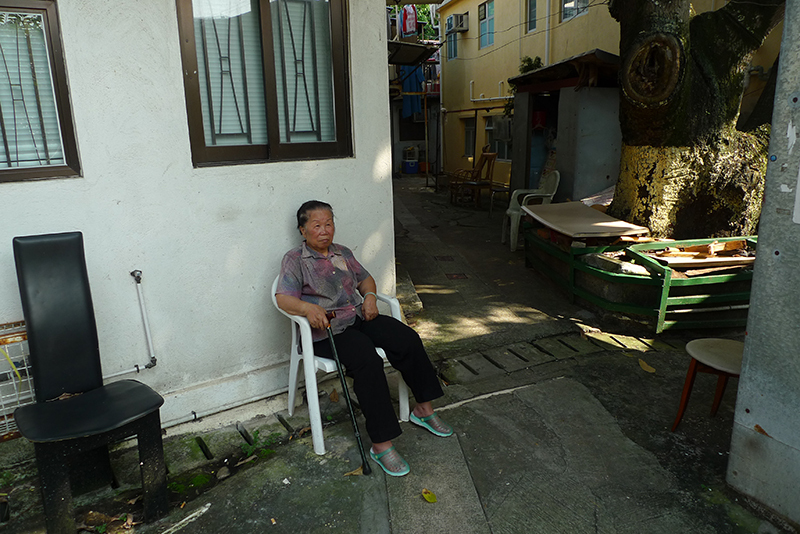 Although the government chairs are fixed and facing one side only, villagers’ chairs can be moved so that chairs are facing each side and people can communicate face to face if they want. The last area, is a fixed space created by villagers on top of the hill, which secures a resting place for the villagers who climb up all along to enjoy the view or get clean water. The villagers are clear about what they want and create their own little world in the village and this is what called self-sufficiency. If the government really wants to help villagers, they should investigate more on villager’s need. The sitting out areas, to the villagers, not only provide a comfortable place for them to rest while walking upward to the hill (PFL Village Sitting Out Area No.2) or appreciating the view of the village (the sitting out area on top of the village) but also, more importantly, provide a public space for everyday communication, from simply chatting to exchanging useful information. This is how the villagers identify themselves-thorough communicate with other villagers.